What Worries Mom or Dad Most? Because of our experience providing care to seniors and other homebound individuals, we at OptimumCare Home Care Services keep our finger on the pulse of the elderly population. A number of studies, as well as our own observances, has led us to identify three of the most top concerns for seniors today. Those concerns include finances, health, and relationships. Seniors and their family members are naturally concerned with the rising costs and changes in healthcare today. Unfortunately, many elders in our neighborhoods are putting off visits to their doctors as well as treatments and procedures to improve health, mobility, or independence because of cost considerations. Because of economic and financial circumstances, many seniors feel they are not able to move to assisted living or long-term care facilities and opt to age at home, which is fine as long as family members or home health care agencies can provide the attention, supervision, and interactions for optimal quality of life. Concerns of the elderly in regard to taking care of an aging or ill wife, husband, or parent, or their ability to deal with an emergency causes increased stress among the elderly population. Stress can lead to mental as well as physical illnesses and conditions including depression, hypertension, insomnia, and inadequate nutrition. Insecurity regarding health and finances can take a toll on our elderly population. Elders are afraid of being alone, losing a loved one, or being abandoned or forgotten. OptimumCare Home Care Services provides solutions for seniors who don’t live close to family, or are unable to enjoy a close-knit support group through the aging process. Home-based services provide options that otherwise would not be available to many seniors in our communities. Transportation to medical and dental visits, social events, and companionship rank at the top of the list of services that many family members require for their loved ones. Meal planning, shopping, and preparation are also high on the list, as is the assurance that a loved one is safe and secure within their own home. Medication supervision is also important. The sad truth is that many seniors today don’t receive adequate nutrition, social interactions, or medical attention because they are isolated from their community. 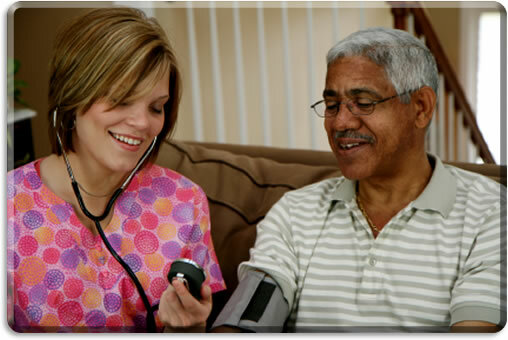 OptimumCare Home Care Services provides highly trained and experienced staff that offer compassionate and loving services to such individuals. It’s important for children and other family members of an aging individual to recognize and understand the common fears that the elderly face today. It’s important to do everything possible to reduce stress and insecurities and to provide compassionate, patient, and a loving care for the elders within our communities.